Although red yeast rice, a traditional Chinese culinary and medicinal product, is marketed in the U.S. to help lower blood levels of cholesterol and related lipids, red yeast rice products may not be safe. According to the National Center for Complementary and Integrative Health (NCCIH), a division of the National Institutes of Health (NIH), some red yeast rice product may contain a potentially harmful contaminant. 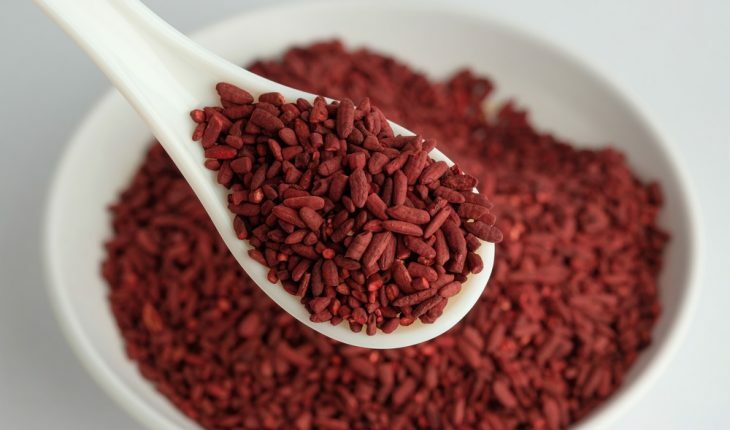 Some red yeast rice products contain substantial amounts of monacolin K, which is chemically identical to the active ingredient in the cholesterol-lowering drug lovastatin. These products may lower blood cholesterol levels by reducing the amount of cholesterol produced by the liver. They can also cause the same types of side effects and drug interactions as lovastatin. Other red yeast rice products contain little or no monacolin K. It is not known whether these products have any effect on blood cholesterol levels. Consumers have no way of knowing how much monacolin K is present in most red yeast rice products. The labels on these products usually state only the amount of red yeast rice that they contain, not the amount of monacolin K.
The U.S. Food and Drug Administration (FDA) has determined that red yeast rice products that contain more than trace amounts of monacolin K are unapproved new drugs and cannot be sold legally as dietary supplements. Some red yeast rice products also contain a contaminant called citrinin, which can cause kidney failure. Tell all your health care providers about any complementary health approaches you use. Give them a full picture of what you do to manage your health. That will help in getting the best and safest care possible. Some red yeast rice products also contain a contaminant called citrinin, which can cause kidney failure. Red yeast rice is made by culturing rice with various strains of the yeast Monascus purpureus. Some preparations of red yeast rice are used in food products in Chinese cuisine, including Peking duck. The composition of red yeast rice products varies depending on the yeast strains and culture conditions used to manufacture them. The strains and conditions used to produce culinary red yeast rice differ from those used to produce products that are intended to lower cholesterol. Tests performed by the FDA indicate that the red yeast rice sold as a food product contains only traces of monacolin K or none at all. In both 2008 and 2009, the most recent years for which data are available, sales of red yeast rice dietary supplements were approximately $20 million per year. According to the 2007 National Health Interview Survey, which included a comprehensive survey of the use of complementary health approaches by Americans, 2.1 percent of respondents (an estimated 1.8 million Americans) had used complementary health approaches for cholesterol in the past year. The same types of side effects that can occur in patients taking lovastatin as a drug can also occur in patients who take red yeast rice products that contain monacolin K. Potential side effects include myopathy (muscle symptoms such as pain and weakness), rhabdomyolysis (a condition in which muscle fibers break down, releasing substances into the bloodstream that can harm the kidneys), and liver toxicity. Each of these three side effects has been reported in people who were taking red yeast rice. Lovastatin can interact with a variety of drugs to increase the risk of rhabdomyolysis; these drugs include other cholesterol-lowering agents, certain antibiotics, the antidepressant nefazodone, drugs used to treat fungal infections, and drugs used to treat HIV infection. Red yeast rice containing monacolin K could interact with drugs in the same way. If the process of culturing red yeast rice is not carefully controlled, a substance called citrinin can form. Citrinin has been shown to cause kidney failure in experimental animals and genetic damage in human cells. In a 2011 analysis of red yeast rice products sold as dietary supplements, 4 of 11 products were found to contain this contaminant. Red yeast rice products that contain substantial amounts of monacolin K can lower blood cholesterol levels. Researchers have not reported results of any studies of red yeast rice products that contain little or no monacolin K, so whether these products have any effect on blood cholesterol is unknown. In clinical trials of red yeast rice products that contained substantial amounts of monacolin K, the products lowered blood levels of total cholesterol and low-density lipoprotein (LDL) cholesterol (the so-called bad cholesterol that is linked to increased heart disease risk). It is important to emphasize that all of these clinical trials used products that contained substantial amounts of monacolin K. A 2011 analysis showed that some of the red yeast rice products on the market contain very little monacolin K. These products may have little or no effect on blood cholesterol levels. Therefore, even though the participants in the clinical trials were able to lower their cholesterol levels by taking red yeast rice, you might not be able to achieve the same results. In one of the clinical trials, the tested product produced a cholesterol-lowering effect greater than would be expected based on its monacolin K content. Further investigations, supported by the NCCIH suggested that other monacolins or other substances present in the product may have contributed to its cholesterol-lowering effect. 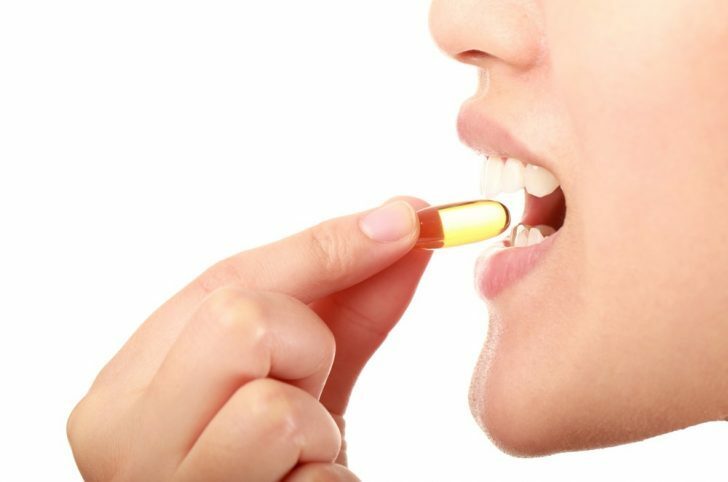 Two studies supported by NCCIH have indicated that some people who had been unable to tolerate statin drugs because of side effects (muscle pain or weakness) were able to tolerate red yeast rice. It is uncertain whether the smaller amount of monacolin K in the red yeast rice products, as compared with the amounts of active ingredients in the drugs, accounted for the greater tolerability or whether other factors were responsible. In 1998, the FDA determined that a red yeast rice product that contained a substantial amount of monacolin K was an unapproved new drug, not a dietary supplement. On several occasions since then, the FDA has taken action against companies selling red yeast rice products that contain more than trace amounts of monacolin K, warning them that it is against the law to market these products as dietary supplements. Despite the FDA actions, some red yeast rice products currently on the market in the United States may contain monacolin K. (Some products tested as recently as 2011 have been found to contain it in substantial amounts.) Other products may contain little or none of this component. Because of labeling practices, consumers have no way of knowing how much monacolin K is present in most red yeast rice products, and can’t tell whether a particular product is safe, effective, or legal. Do not use red yeast rice to replace conventional care or to postpone seeing your health care provider about a health problem. Do not use red yeast rice dietary supplements if you are pregnant, trying to become pregnant, or nursing a child. If you are considering giving a child a red yeast rice dietary supplement, it is especially important to consult the child’s health care provider. Do not take red yeast rice in addition to prescription statin drugs. Many Web sites, including sales sites, have information about red yeast rice. Be cautious when you evaluate information from the Web; not all of it is trustworthy. For more information, see the NCCIH fact sheet Evaluating Web-Based Health Resources.